When Lynne and Tim planted willows around a one acre fruit patch on their Pembrokeshire market garden, their intention was to help shelter the soft fruit they were growing for the local farmer’s market. 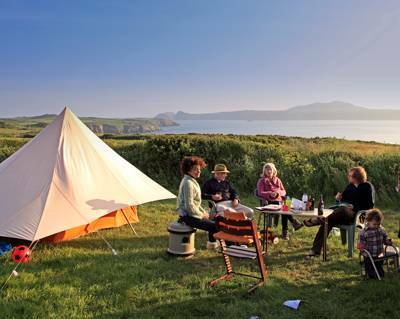 What they didn’t realise is that they were also sowing the seeds for a camping sanctuary, transforming their home into one rather charming Pembrokeshire campsite. Today, you won’t meet a single camper leaving Spring Meadow Farm who isn’t singing its praises. They’re easy people to find too, since they all return again the next year! 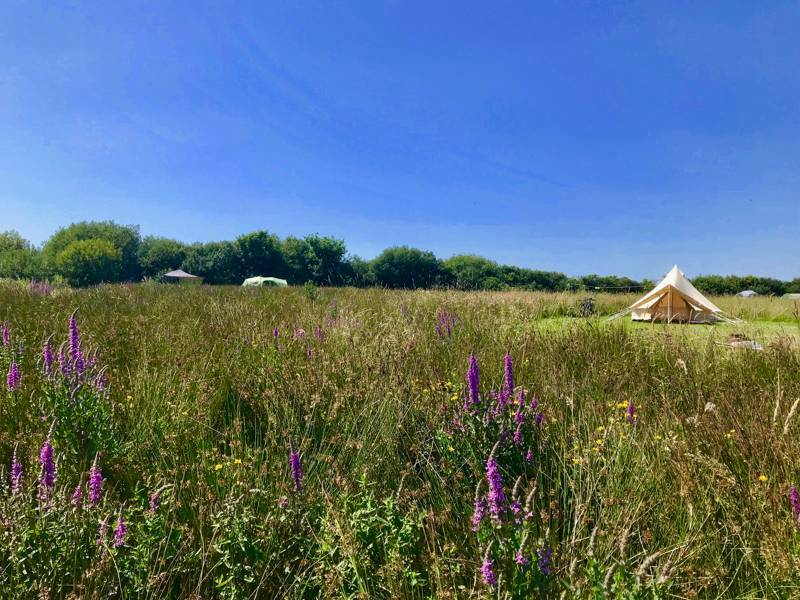 Smack in the middle of St Davids Peninsula, Spring Meadow Farm’s enclosed meadows boast just five grassy pitches, providing ample space even when fully booked. Stays are of a simple and natural kind – there are no electrical hook-ups and each pitch has a moveable wooden picnic table, along with a firepit for that essential evening campfire. 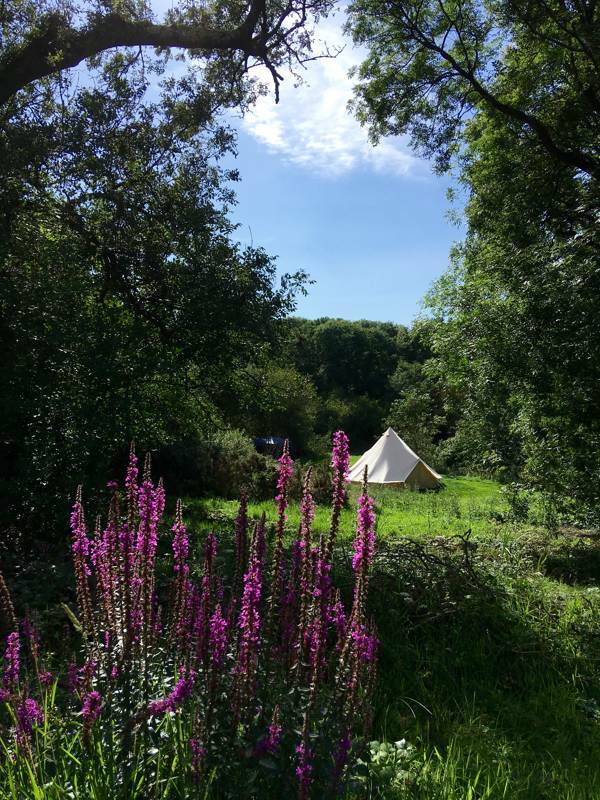 The remaining 12-acres are still a bountiful market garden – complete with polytunnels full of vegetables that are sold on site – and, though campervans are allowed, it’s predominantly tents that pepper the flat camping meadow. It’s the relaxed approach to camping here that makes the place so endearing. 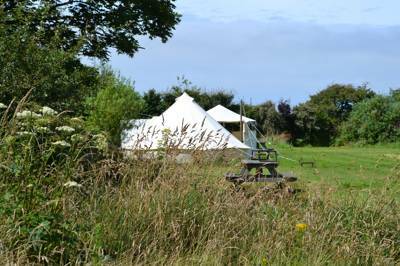 Guests are welcome to stroll the margins of neighbouring fields, where unkempt hedges attract gold finches and grasshopper warblers, while kids can busy themselves on the outdoor table-tennis table. Several bright buddleias are also grown on the fringes of the camping meadows – earning their horticultural nickname as ‘the butterfly bush’ with the numbers they attract. It all gives the place a slightly wild and rustic feel, hidden in the back of beyond. Above all else, however, it’s the location that keeps most of those praise-singing campers returning. Though it may feel delightfully isolated, Spring Meadow Farm is surrounded by popular beaches on almost every side. The coast path walk from Porthgain to Abereiddy is the spot to watch the sunset from, head west for surfing and swimming on Whitesands Beach or drop south to pretty Solva, where the long quayside is ideal for crabbing. The village overlooks a picturesque, dinghy-dotted estuary that is fed, in part, by a tiny stream originating back at the campsite itself. 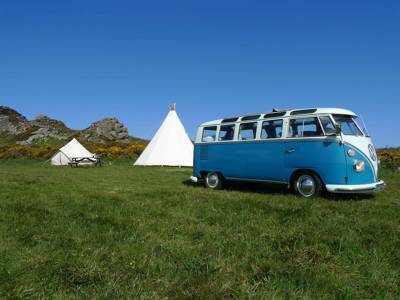 So campers here, it seems, are really just following the natural order: Always bound for the seaside. 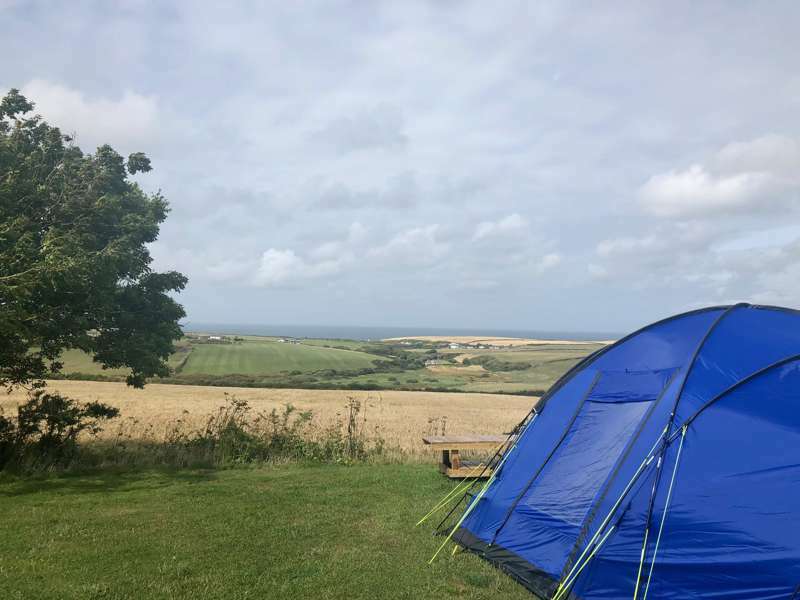 For latest availability and best prices for Spring Meadow Farm Campsite, please use the Date Search above. 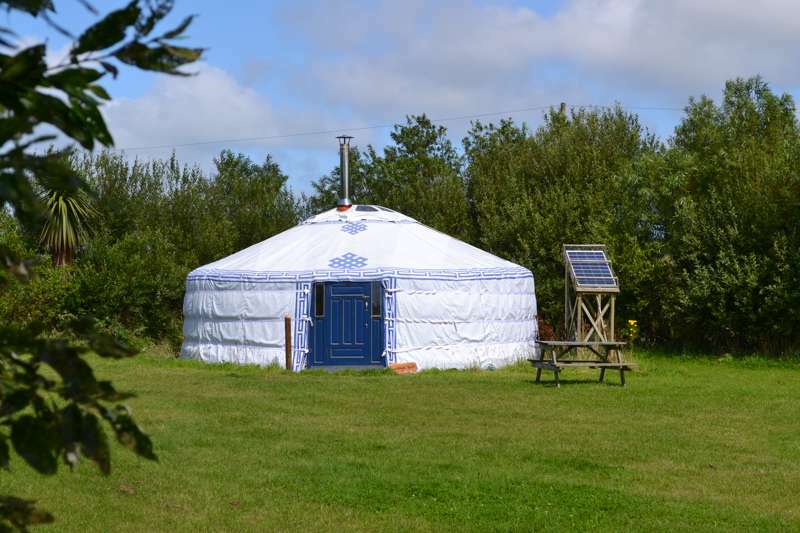 Swallows Yurt: An authentic Mongolian yurt with its own separate yurt kitchen, outdoor shower, picnic table and fire pit. 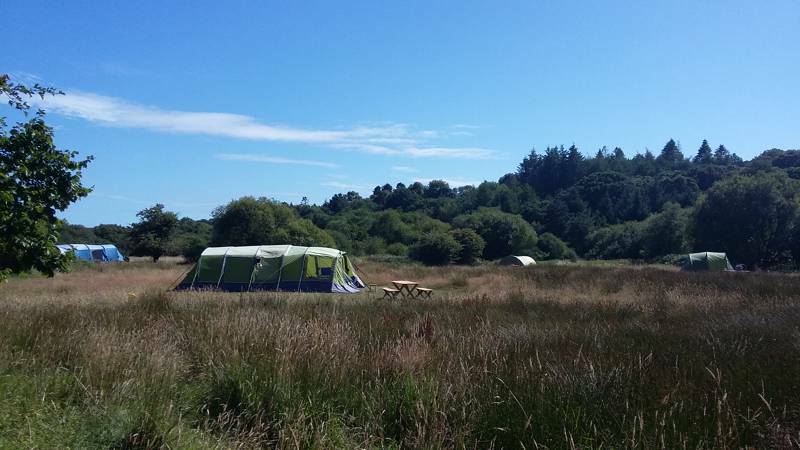 5 grass camping pitches: Generous pitches each with a fire pit and moveable picnic table. There is a family shower room with electric shower, toilet, wash basin and hairdryer and a second separate toilet and wash basin. There's a washing-up sink, washing machine and fridge/freezer for use. Firewood is also available . There is an outdoor table tennis table. 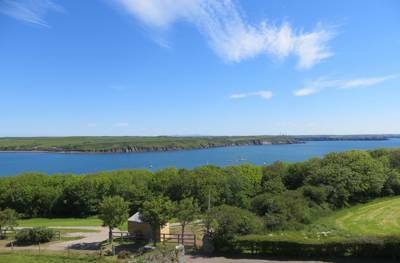 The spectacular Pembrokeshire Coast is within 3-5 miles to north, south and west of the campsite. There’s surfing at Newgale and Whitesands Bay, coasteering at the blue pool Abereiddy and Island boat trips to see the puffins, razorbills, guillemots and many other sea birds – there are gannets to be seen on Grassholm and seals around Ramsey. Walk the coast path or try crabbing or sailing at Solva and Porthclais harbours. Horse riding is available at Nolton Stables (01437 710360). Castell Henllys, a reconstructed Iron Age Fort near Newport puts on activities for families throughout the summer – kids adore it. Local delicatessen in St Davids – St David’s Food and Wine (01437 721948) – selling a variety of local produce. Gwaun Valley Meats (01348 840838) in Letterston sells quality local meat products and freshly cooked crab and lobster can be bought off the quay in Solva (and also from Porthgain and Roch). Fishguard Farmers Market (01437 776168) runs on Saturday mornings (9am–1pm) in the town hall but get there early as stalls sell out. For a meal elsewhere, most campers recommend The Sloop Inn (01348 831449) and The Shed Bistro (01348 831518) in Porthgain and The Cwtch (01437 720491) in St Davids. Also fish and chips at No.35 (01437 729236) in Solva but only on specified days. Mid May – 5th September. High season: Whitsun and summer holidays, Sat - Sat only £595 (exclusive of bedding). 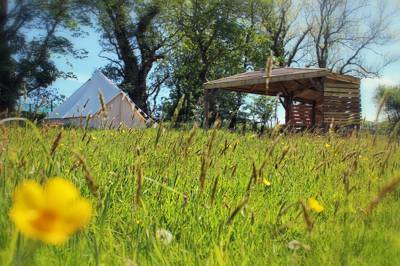 Low Season: Outside the school holidays, 3 night min stay £70 per night (exclusive of bedding). Bedding: £12 per person extra for duvets, pillows, cotton bed linen and towels (per stay). 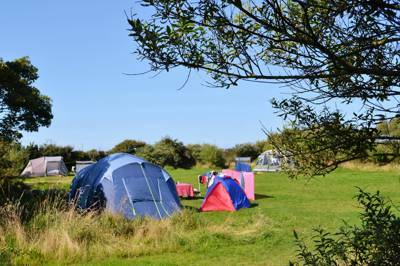 We charge £20 per pitch per night which includes 2 adults. Additional: £5 per night per child 5–15yrs; under-5s free. 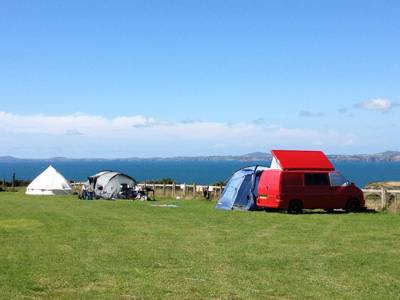 Greener Camping Club: £10 annual membership fee if you're not already a member. 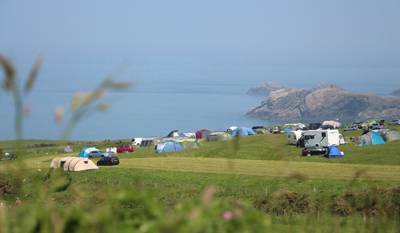 Our campsite is on the main A487 St Davids – Fishguard Rd. We're about 3 miles from St Davids, on the right, just after the Caerfarchell turn off. Or from Fishguard, we're just before the Caerfarchell turn off, on the left.